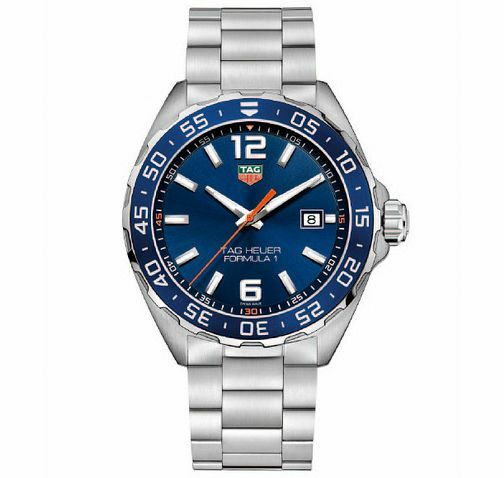 From TAG Heuer's technologically advanced Formula 1 collection, comes this striking stainless steel bracelet watch with blue dial, silver hour markers and luminous hands, quartz movement, along with a blue uni-directional bezel. A bold, sporty timepiece, designed to deliver supreme reliability. Rated 5 out of 5 by Anonymous from Absolutely amazing I bought this watch as a little treat for myself. Its amazing, the quality is superb and I get a lot of great comments from other watch lovers all the time. Buy one, you will not be disappointed.